Malfunctioning toilets on the "Cabo Star" on March 24, 2018, forced passengers to relieve themselves inside and overboard the vessel during nine hours of sailing between T&T. The recent malfunctioning was a result of rocks, lemons and clothing placed in the toilet by passengers which choked the vessel’s sewer system, according to the Port Authority. The toilets had not functioned for five hours. Already on March 22 the toilet facilities were clogged by rocks and had to be cleared. On March 24, again the system was affected and repaired within hours. A similar situation had previously occurred where lemons and pieces of clothing were found in the system, as she appealed to passengers to refrain from placing objects in the toilets since this was against the law to maliciously tamper or destroy the authority’s property. In the morning of Feb 1, 2018, the "Cabo Star" diverted to help in a search and rescue operation, responding to a distress call from a barge that had overturned midway between Grenada and Trinidad, while the ferry was on its way to Port of Spain from Tobago. There was no immediate information on the number of people who were aboard the ill-fated vessel off Grenada. But at least one person was confirmed missing. The Grenadian Coast Guard is also involved in the search. The arrival at the port of Port of Spain was delayed with an arrival at 3 p.m.
More problems on the "Cabo Star" such as a damaged electrical switch which controls the engine forced the cancellation of the sailing from Tobago in the night of Dec 13, leaving truckers up in arms and concerned about perishable goods on the vessel. The starboard engine went down as an electrical switch which controls the thruster motors and a main engine was damaged and had to be replaced. 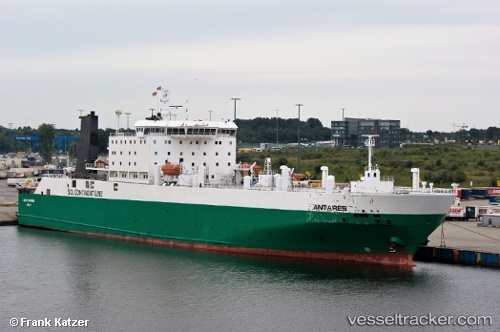 It was uncertain whether the vessel would have made a return sailing to Tobago. The situation has inconvenienced drivers who were hoping to make a turn-around to deliver, pick up and return. The truckers and loaders were asked to seek alternative transport on the "T&T Express". The vessel left Scarborough sailing on one engine and the normal five-hour trip would have taken almost eight hours. Among the goods on the vessel were perishable foodstuff which was transported for sale in the market on Dec 14 and 15. This included oranges, bananas, pommecythere and avocados.